Through frequent communication with patients and their support teams, we make sure patients are sticking to their medications and living the healthiest lives possible. Chris Geronsin, pharmacist and owner of Gateway Apothecary and Beverly Hills Pharmacy, provides HIV patients with an easier way to manage their medications and stay healthy. One of Gateway’s primary goals is to help patients with HIV achieve near-perfect medication adherence to keep the virus in suppression for long, healthy lives. More than 1.1 million Americans are living with HIV, and the Center for Disease Control estimates 50,000 more are diagnosed with HIV each year. Fortunately, drug therapies to suppress the virus have greatly improved. By adhering to the right medication regimen, Americans living with HIV can lead long, healthy lives. A near-perfect adherence rate of 95 percent or higher is very difficult for most patients to maintain under the best circumstances. The fear of discrimination, socioeconomic challenges and denial or hopelessness that can accompany an HIV diagnosis make such a high adherence rate even harder to achieve. Gateway uses adherence packaging to help patients easily manage their medications and works closely with support organizations and case managers to help patients achieve the best possible long-term outcomes. Chris’s pharmacies have been supporting HIV patients since the 1990s. Over the years, Gateway Apothecary and Beverly Hills Pharmacy have established close relationships with local clinics, health care providers, HIV/AIDS support organizations and case managers. Through collaborative practice agreements with local physicians’ offices, a Gateway pharmacist sees patients in clinics twice a week and provides physicians with recommendations for patients’ medication therapies. This is often the first of many interactions between patients and a Gateway pharmacist. In an effort to boost adherence rates among their HIV patient population, Gateway Apothecary introduced an adherence program using Parata PASS packaging in late 2013. Gateway’s HIV patients using strip packaging have an average adherence rate of 95 percent — the near-perfect score needed to keep the viral load at extremely low levels. The response from patients and their health care teams has been very positive. Patients feel more in control of their medications, and physicians are excited by the clinical results. Gateway is partnering with a local infectious disease clinic to track the program’s impact on patient outcomes. “With the improved adherence, we’ve seen dramatic reductions in the viral loads of some patients we had been very concerned about,” Chris says. 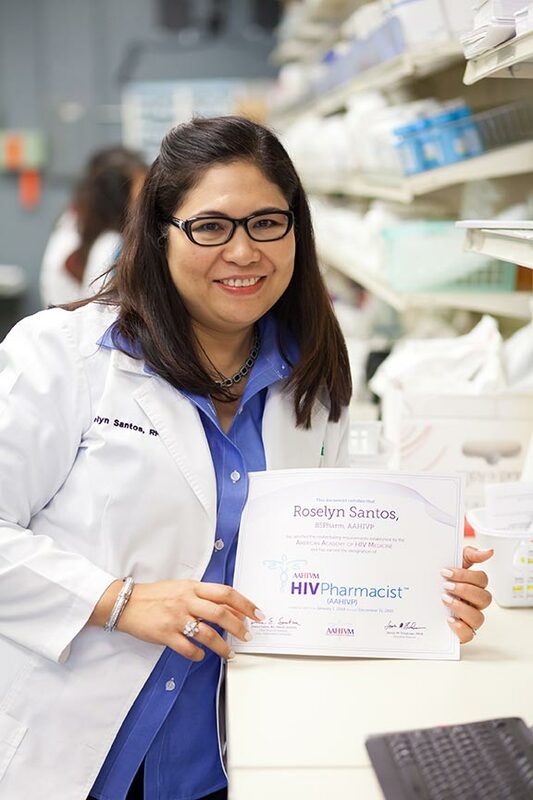 As physicians and case managers learn of the program, they’re referring HIV patients to Gateway Apothecary to take advantage of the packaging and the comprehensive adherence program. Gateway Apothecary recently received national recognition for their commitment to serving HIV patients. Each year, the American Academy of HIV Medicine presents the Peter M. Fox Excellence in HIV Credentialing Awards to health care entities — hospitals, clinics, pharmacies — where all providers are HIV certified. Gateway is the only pharmacy to receive a 2014 award. Empower patients with HIV to better manage their medications and stay healthy.